Mark Zuckerberg's personal, political and positional power in relation to organizational vision and culture is a mixture of referent, expert and ownership because he's the founder and CEO that holds the original vision and mission for the future. "Referent power is the ability to influence others through one's desirable traits and characteristics. Expert power is the ability to influence others through specialized knowledge, skills, or abilities. 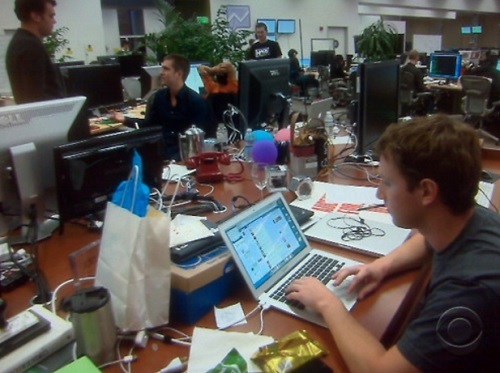 (DuBrin, 2010)" People want to become employees of Mark Zuckerberg more than "Facebook". Even though they are currently one in the same, the company could be quite different under a new CEO's vision. Humans have a natural tendency to follow those with great ideas in order to help them succeed, such as Elon Musk with his vision for a clean Earth and a second sustainable planet for us to use as a habitat if/when something goes wrong on Earth. Communication dates back long before humans could speak through cave wall images, then onto words, messengers, telegrams, telephones, email, internet and now Facebook. Zuckerberg saw this service as a way of fast communication with your entire network and his employee's help continuously improve the speed and quality of his vision. Then with the click of a share button the same message could be sent exponentially throughout other networks. Working for someone that has repeatedly said and proven that he/she doesn't care about money shows that they do in fact care about their company and their employee's future more than making profits to pay executives. This empowers employees to believe that when they put in 110% of their own effort they will be not only compensated for it but also praised. 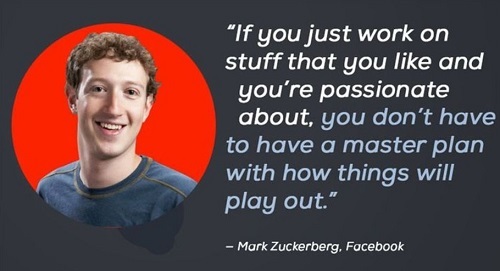 Mark's positional power is related to that of ownership because it was his original vision of what Facebook could become and he that found the best talent to make his vision a reality. Outsiders can look in with opinions but it's Mark that holds the secret key to the success of Facebook as its originator. "The CEOs of high-technology firms are typically company founders who later convert the firm into a publicly held company by selling stock. (DuBrin, 2010)" Instead of being a selfish power monger Mark exudes selflessness in his efforts of philanthropy and reinvestment of profits into the company. A famous quote of Mark's that empowers employees to believe and follow him is, "We don't build services to make money; we make money to build better services." It's easy to agree and look up to someone like Zuckerberg. To say it mildly, Mark has an open door policy, but that doesn't do it justice. Mark is known for fixing programming code himself rather than sending it to subordinates, he regularly works on projects with entry-level employees, his building is full of glass walls and he has little interest in the standard hierarchy of managers in the corporate culture. "Zuckerberg's office has glass walls. Contrary to the conventional idea of a CEO in a private room with a secretary guarding the door, Zuckerberg wants his employees to be able to approach him. Making people feel like equals is a great way to show that you value them. (Kux, n.d.)" It's empowering to know that your work could quickly reach the desk of your billionaire CEO to the point that it will push someone to work endless hours on or off the clock. Mark also uses the 80/20 rule of creative thinking, where employees are encouraged to use 20% of their time working on ideas of their own that could help the company. If the idea is taken to the next level this particular employee could be the team leader of the project. Yet another way to motivate and empower employees to avoid surfing the internet as they are tucked away in their cubical. Many people think to themselves, "if only I thought of Facebook I'd be a billionaire." However, they fail to consider Mark's enrollment at Harvard University, his in-depth research and training with programming code, his successful approach to gathering less than 10 qualified individuals to help him program Facebook's original platform, his hate for advertisements early on, his minimal desire for money and his long term ethical and moral approach to hiring the right people, treating them right and empowering them to help turn Facebook into a billion dollar company. It wasn't just an idea. It was a long process of structuring an organization with teams of people that are motivated to work together with a single goal in mind; to push Mark Zuckerberg forward with his vision and mission.